Tower Hamlets Labour Party is like nowhere else. Throughout London, every constituency party campaign team is doing its best to get the vote out for Ken. They recognise that for the party nationally and in London, that is Labour’s political priority. But here the local vendetta takes priority. Against Lutfur Rahman, independent Mayor overwhelmingly selected by Labour members and then elected by the public after being dumped as Labour’s candidate without investigation and replaced by his accuser. So tweeted Tower Hamlets Labour Party within minutes of the Bradford West result. On 3 May, Labour’s candidate in Weavers, where Labour ousted three Lib Dems at the last election, faces a serious challenge from local Respect leading light Abjol Miah. 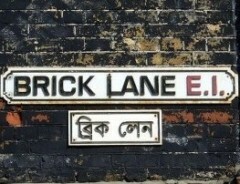 The Lib Dems previously enjoyed significant Bangladeshi support in the ward but this time, as they did in Spitalfields, they are standing a paper candidate. I don’t know if they favour one side over the other — they are probably happy just to see the Labour family tear itself apart. On this occasion, the Bangladeshi community leaders seem to be united behind the Respect candidate who is also backed by Lutfur Rahman and his supporters. Until last night, my expectation was that Respect would win. However, the Spitalfields result was surprisingly close. That was undoubtedly the result of a last minute poison-packed leaflet distributed anonymously (see side 1 and side 2), which appears highly defamatory, and is certainly grossly misleading in some respects. Hatred runs deep on both sides. Lutfur Rahman and his supporters feel they have been denied justice, that charges were made against them maliciously and see themselves as true Labour. There are no significant political differences between the two sides. The Labour group on the council, now in opposition, would have been making essentially the same cuts and protecting the same services as Lutfur Rahman is now. Every councillor that is full of hatred, whether Labour or independent, whether hard-working or idle, whether they’ve always been in Labour or spent some time in Respect or any other party, whether they’ve led a blameless life or have the odd skeleton in their past, every one of them was elected as a Labour councillor in 2010. Every one of them was vetted by Labour officials and imposed as a Labour candidate. Some of them were still in primary school when Labour Party members were last allowed to select their council candidates. The text is still on my phone. Hatred runs deep. The losers are the people of Tower Hamlets. And possibly Ken. And, if Ken loses as a result, the people of London. And the Labour Party. Posted in: Labour, Politics, Race/Racism. Regulatory backlash against bankers’ pay – you bet! Lords reform may break up Coalition: bring it on! Frankly and shockingly, I think quite a number of Tower Hamlets Labour Party in general, and Progress in particular, would be more than happy for Ken to lose the London election. They would then be able to present themselves and their rather dubious agenda as the only possibly alternative. Ryszard Konietza, Why do you say Progress want Livingstone to lose, Luke Akehurst wrote and Endorsement, Tom wtson had his COmment “Hold your nose and vote for Ken” in it, and Tessa Jowell wrote a ringing endorsement there too, AS Both Jowell, Davidnb LAmmy, Stehpen Pound Denis Mcshane all Blairites and Progress contributors are Livingstones, I don’t by this “blairites are agiasnt Ken,AS when Boris was Editor Of the Spectator he twice had legal writes issued agaisnt him By Blair when he Alleged Blair tried to cash in on the queen mum’s death. ANd Lord Sugar who said don’t vote for ken, but no one else either was Appointed to the Lords By Grodn Brown!! Rememeber that Denis Skinner Lord and Lady Kinnock, Micheal cashamn all voted agaisnt Ken beign able to rejoin in 2004 and I’m A blairite I organsied the campaign for Ken in HAvering in 2008 and got 1000 more votes that tiem than in 2004 (when I also camapinged ,I’m drivng people to the polling booth thursday after handing out ken’s fairs policy at train stations. Maybe tower hmalets laobur people aren’t actively campionging for ken, Maybe they should hand out leaflets spoofing the Lufthur one.